Tip: Wash them thoroughly the day before in hot soapy water and allow them to air dry by standing them up on a wire rack, this allows all the water contained in them to drip straight out. 1. 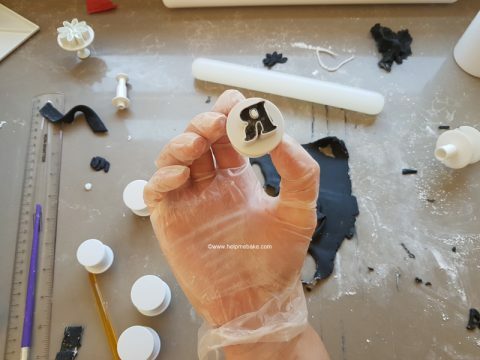 Lightly dust your work surface with either icing/confectioners sugar or cornflour/cornstarch first and then place the plunge cutters on the icing sugar/cornflour and push down. 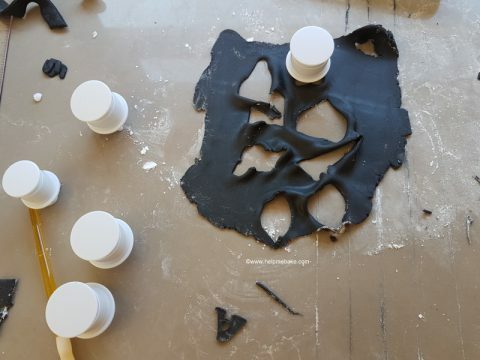 This will coat the inside of the cutter allowing for easy release when you put the icing/fondant into it. 2. Now roll out the icing/fondant to approx 3mm thick. I rolled it out thinner at first, but they didn’t look very good, so I re-rolled it and made the icing/fondant thicker. The thicker the icing, the better the letter. 3. 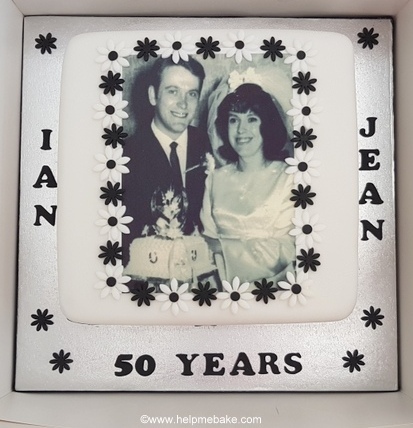 Once rolled out to your desired thickness hold the cutter with your finger and thumb and cut the icing/fondant with the cutter. 4. Lift up and smooth off any straggly bits with your index finger. 5. 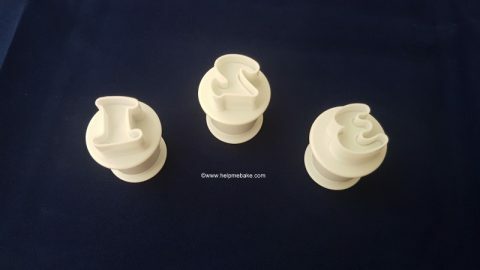 To release it hold the cutter in mid-air (about 2-3cm from your work surface with the letter facing downwards and press the end of the cutter), it will expel the letter. 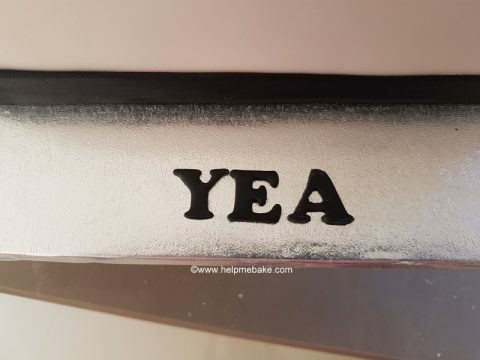 I used the letters around an 8-inch fruit cake on a 12-inch board. (See below). I then went on to use the number cutters. 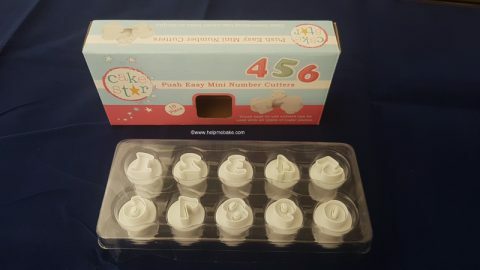 These are the Easy Mini Number Cutters that I used. 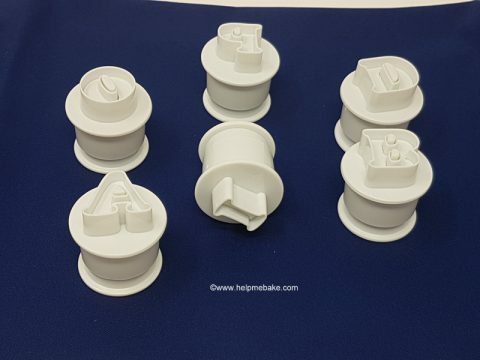 The number cutters are approx 34mm high x 26mm wide. 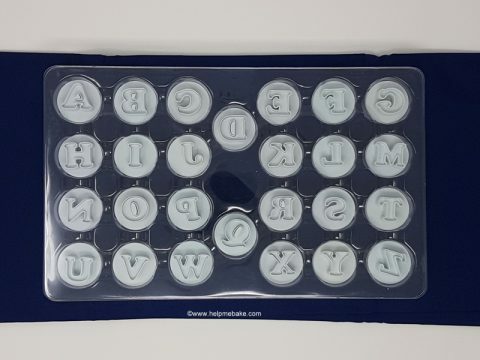 You would use these in the same way as the letters. 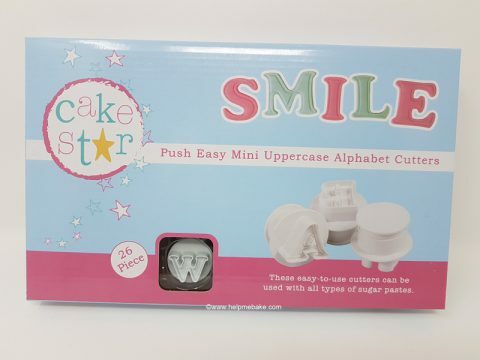 The number cutters are comparable in size and work well on your cake creations. My only gripe with this product is that you have to buy the ‘&’ sign separately at an additional cost. Luckily I have managed to work around this, but because of the price of the cutters, I think the ‘&’ sign should have been included in the set. The actual letter and number ones I have got work really well so I would still recommend them. They also do these cutters with some flower designs too.